Peel and clean the shrimp well. Heat the olive oil in a skillet and sauté the garlic slices with the chili pepper. When the garlic begins to turn golden, add the shrimp. Stir and incorporate all the ingredients well. Continue cooking until the shrimp turn pink in color. When ready to serve, sprinkle with the diced parsley. I recommend using fresh shrimp, but frozen shrimp will work well, too. I consider Spanish cuisine as one of my favorites. It’s easy to see it’s grand influence in Latin American cuisine. 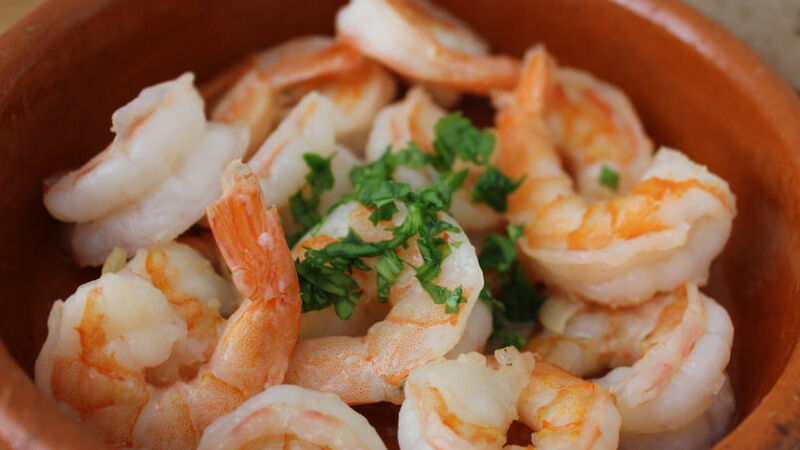 Camarones al ajillo or Spanish-style garlic shrimp, is one if the easiest dishes you can prepare. It requires few ingredients and takes very little time to prepare; and the final result is an authentic deleite!